Natural stone is a precious material that deserves to be treated with the utmost care. People often assume that natural stone is "stain-proof," however all stone is porous to some degree. If not properly treated with a protective sealer, water, oils or other liquids can easily penetrate the stone, leaving behind unwanted stains. Good news is that once treated with a protective sealer, natural stone is ready for carefree. Our Micro Sealer Ceramic Guard is perfect for polished natural stone. But what if your stone is flamed finish? Innerguard Premium and the other half is unsealed. There is NO difference in the color or look of the stone. We left vegetable oil on both sides and left 10 minutes. sitting on top of the stone. trapped in the pores. 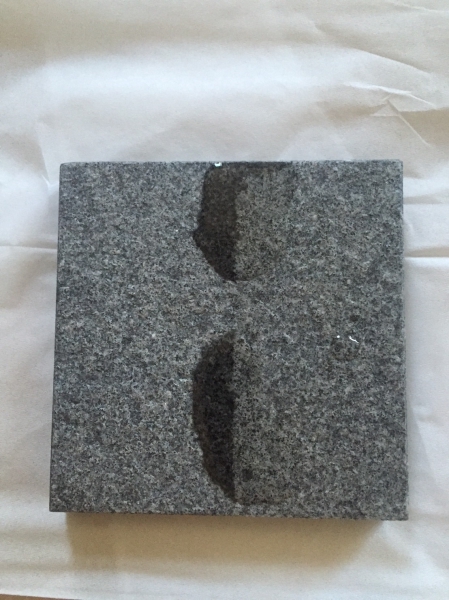 This product also provides keeping the texture or the feel of your stone. Copyright © 2016 All rights are reserved by Tack and Company Ltd.